For families with kids, Dr. Panda is a familiar name which develops many educational games for kids, toddlers and babies, with the apps and games generally received critical acclaim. If you loves the education apps from Dr. Panda, now there is chance to own one of them for free. 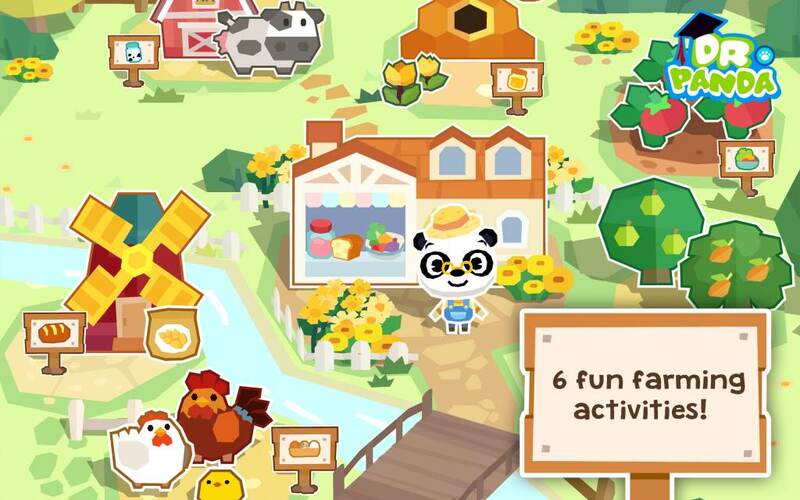 Normally going for $2.99, Dr. Panda Farm is now available for free download on iOS App Store(Apple iPhone and Apple iPad), Android’s Google Play Store and Amazon Appstore. Dr. Panda Farm is a educational app that simulate the farming experience through pretended play, where the children run their own farm and learn how to become a farmer, with activities include making bread from wheat, feeding the chickens, taking care of the cows, harvesting vegetables, and more. Through the gameplay, children gets to know where the local food comes from, what ingredients are needed and how to get them, and even selling the farm-fresh products to customers at the Farmer’s Market, in exchange for building tools to expand the farm. If you want to get and download the Dr.Panda Farm for free, pick up your mobile device now and head over to the respective app store to download it.